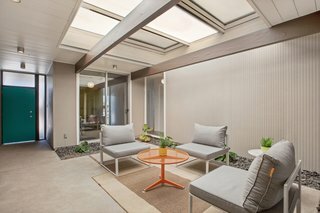 California indoor/outdoor living can be yours in this lovely, Anshen & Allen-designed Eichler. 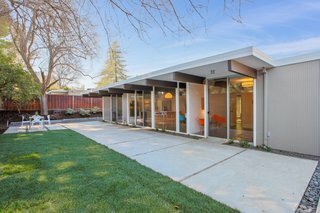 Located on a quiet cul-de-sac in Walnut Creek's Rancho San Miguel neighborhood—an East Bay subdivision home to 375 Eichlers—this 1959 atrium model Eichler stands out with a low-slung midcentury post-and-beam profile and period-appropriate interior updates. 23 San Marino Court's flat top, post-and-beam facade. The central atrium has a strong indoor/outdoor feel. An operable cover can close the area off to the elements. 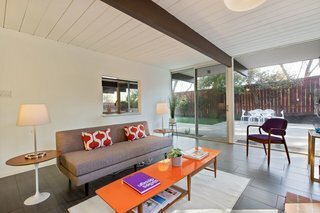 The recently renovated 1,742-square-foot home packs a big punch with four bedrooms, two baths, a beautifully updated kitchen, a central atrium with an operable cover, and a bonus multipurpose room. 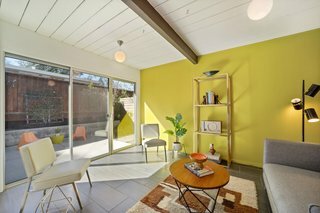 Amenities include in-floor radiant heating and an electric vehicle charging station in the garage just waiting for your Prius. The living room overlooks the backyard through a wall of glass. 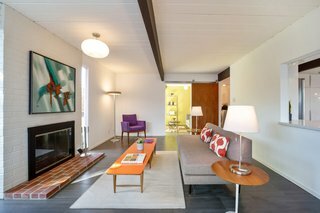 The ceilings are painted white, providing an open feel. 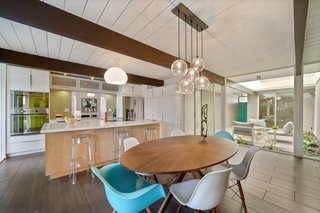 Dark beams run the width of the home. The renovation installed modern aluminum double-pane sliding doors. 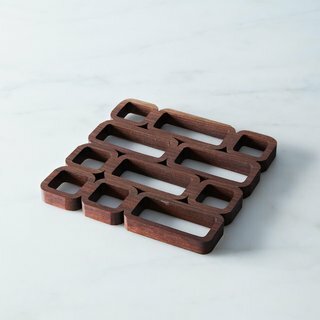 A trivet that's hard to cover up. Trivets are a necessity, but there's no reason to keep them boring. Try one out with sharp, clean classic lines -- and the variation in the wood grain pattern adds a distinct character to each piece. Bonus: it doubles as an art piece when it's not in use. 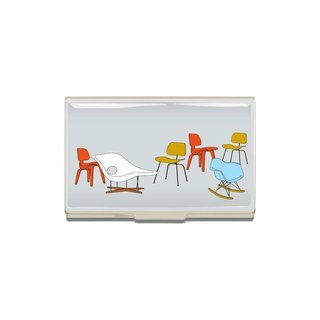 Done with a mirror-shine chrome finish, this sleek business card case gets a style boost with an image of Charles and Ray Eames's iconic chairs. 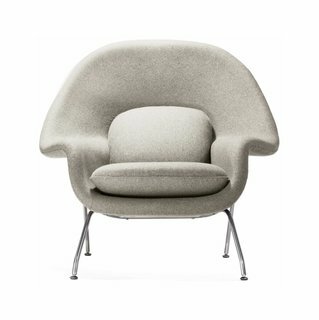 Eero Saarinen arrived at the concept for his 1948 Womb Chair when challenged by Florence Knoll to design a chair of supreme comfort – one she could really "curl up in". The kitchen opens to the dining area, rear garden, and atrium. 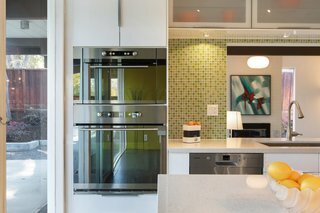 The beautifully updated kitchen has new quartz countertops, a mosaic tile backsplash, and a fast-cooking induction range. 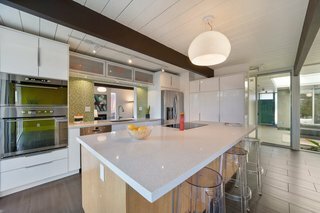 The large center island adds storage and seating. The updates are modern with a period-appropriate vibe. 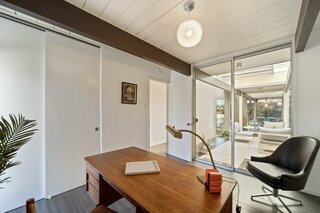 One of the four bedrooms is perfectly suited to be a home office. 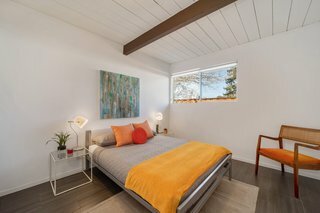 The second bedroom is bright, with more windows that your average Eichler bedroom. 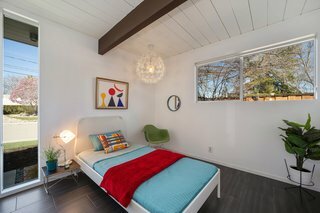 This bedroom with a window neatly tucked into the corner is more typical of Eichler models. 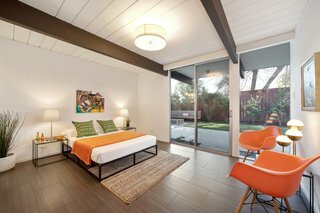 The master bedroom enjoys lots of natural light thanks to sliding doors which lead out to the backyard. 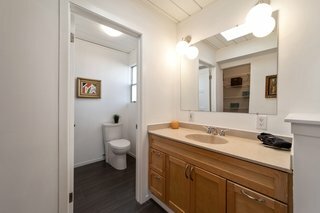 The master bath is not original and could use a refresh. 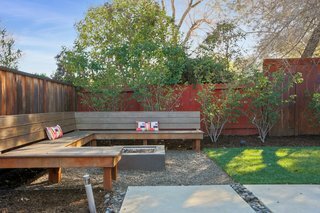 The backyard features custom built-in teak seating, a fire pit, and an organic vegetable garden. The front and rear yards feature drought-tolerant modern landscaping with new hardscapes. 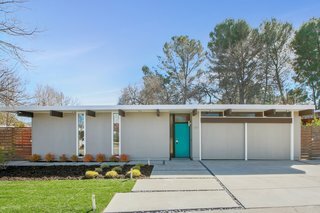 23 San Marino Court is now being listed for $1,199,000 by Kenneth Fox of East Bay Modern.